On 13 June 2015 I visited the village of Kontea / Türkmenköy in the north of Cyprus. I had found out from a friend that a special concert was taking place and I could not resist – I had to go! 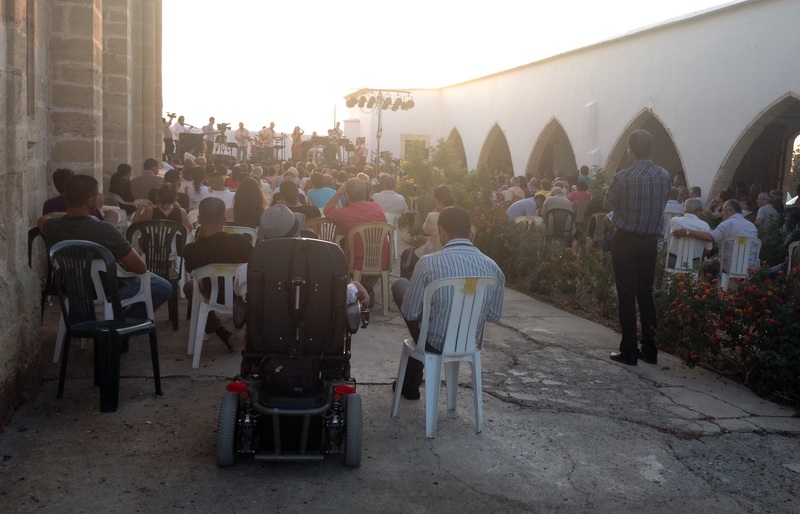 The concert organized at the grassroots level, bringing together the Greek and Turkish Cypriots of Kontea, and was performed in the courtyard of Saint Charalambos Church. A bus brought the Greek Cypriots to the north to visit with their old friends and join their new friends in a celebration. We had heard that the villagers of Kontea had had a lot of contact since the border opened in 2003, and had recently met to teach their children and grandchildren old traditional dances.My parents and I thought that the concert would be a small amateur performance, and whilst it was quite small (perhaps 200 people in the audience), it was not amateurish! 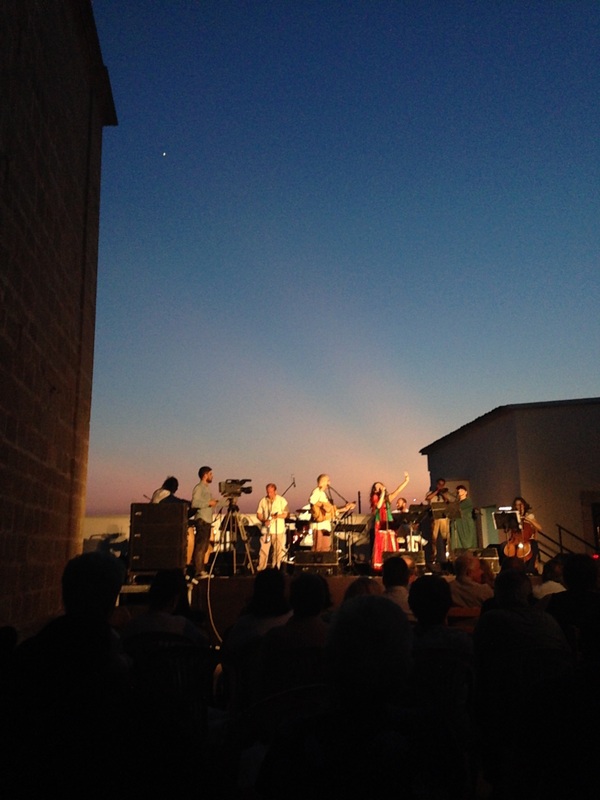 There were incredibly talented and established musicians performing, including Larkos Larkou, a famous Greek Cypriot musician, and his wife Zeliş Şenol, a famous Turkish Cypriot singer. 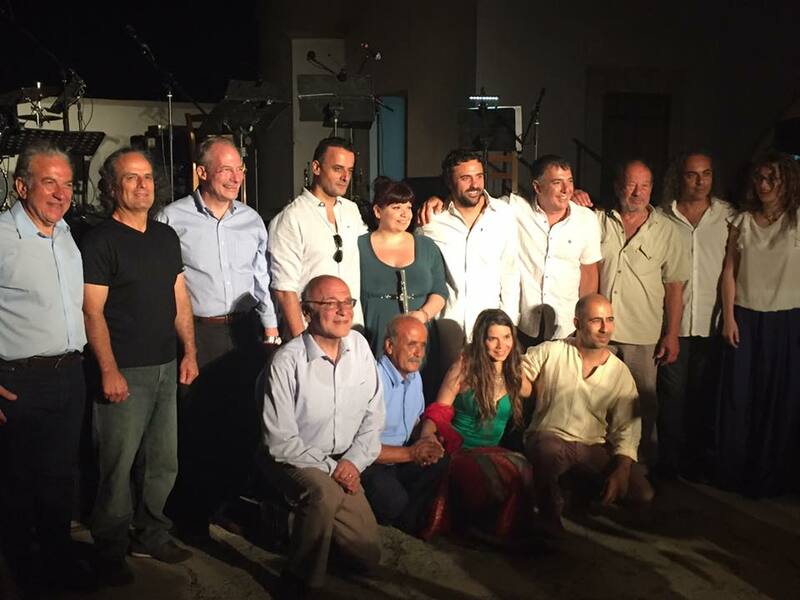 They were supported by musicians of both Greek and Turkish Cypriot origin who together form the established band “Kyprogenia”. Larkos and Zeliş sang traditional Cypriot songs in both Greek and Turkish, and the crowd sang along to many of them. There was also a Greek Cypriot man who translated a famous Turkish Cypriot poem into Greek and read it to the crowd. An extraordinary Turkish Cypriot violinist played some solo pieces and a beautiful, small old Greek Cypriot man played some old songs on the Cypriot flute and sang as well – he was a crowd favourite! Larkos dedicated one song to his Turkish Cypriot father in law and the crowd melted! 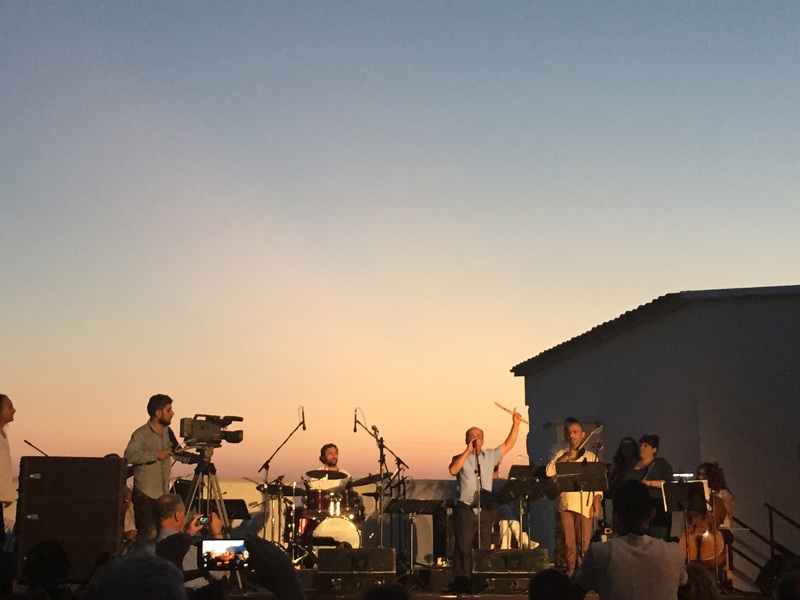 As I looked around, I saw old friends embracing and singing together, young people meeting and a sense of community across the divide that I didn’t imagine could exist in Cyprus since 1974. I also saw a man who looked familiar; he had been at the conference I attended in Nicosia a few weeks earlier – the US Ambassador to Cyprus, His Excellency John Koenig. No other diplomats or politicians were present – just him. He seemed to be having a great time, and hugged and kissed many of the performers afterwards and took a photo with them. I was fortunate to speak to Larkos after the performance and was touched by his humility. Larkos was born in Kontea and is involved in fostering the relations between the two communities from the village.